Finally, got round to doing a vocal recording of this mass setting! Just click on the logo to the left. Thanks to Fr Grant, the Christ the King section of Tongues of Fire and Andy at Catalyst Studios, St. Helens! Fancy having a go at The Paschal Proclamation - the Exsultet - this Easter vigil? It's got a refrain which pops in a few times and an antiphonal section where the congregation join in singing "This, this is the night!" Over the last few years I have been working on setting all the Sunday responsorial psalms. It's been a huge project but I think I've finally done it! The psalms are based on The Grail Psalms. I am massively grateful to The Grail Community for such wonderful translations which have moved me to write these settings and also for allowing me to place these settings here. Please click on this icon to learn more about them. 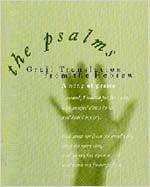 If you want to use them, I suggest you look at the Upcoming psalms section which I try to run 5-6 weeks in advance. If you're looking longer term, then there is the Responsorial psalm index. I hope they may serve you and your congregation in some way. Special thanks to the good people of Our Lady of Good Help, Wavertree, Liverpool and Christ the King, Childwall, Liverpool where most of these settings were sung for the first time. The wonderful music group there has been especially brave in embracing the challenge of a new setting each time we sing. Maria D and Suzie, Maria F, Amy, Lucy, Rick, Liam and Clive - thanks! I hope this site will serve you and your worshipping community in some way! c) see the music 'dots' (denoted by treble clef logo). If you want to know more about the site visit ABOUT THIS SITE! Special thanks to Kevin Mayhew for his terrific encouragement over the last few years! Thanks too to Rick Fazakerly and Clive Bowyer - the best mandolin/mandola player and bass player in Christendom respectively! To all the Tongues of Fire team - you're amazing! To all at Our Lady's - it's been a pleasure to sing, play and minister with you all! Finally, thanks to Beth, Katie, Tom and Joey. You're the greatest!